As a custom signage manufacturer, you never quite know what types of projects will pass through your shop on any given day, and that is one of the reasons we love this industry so much! 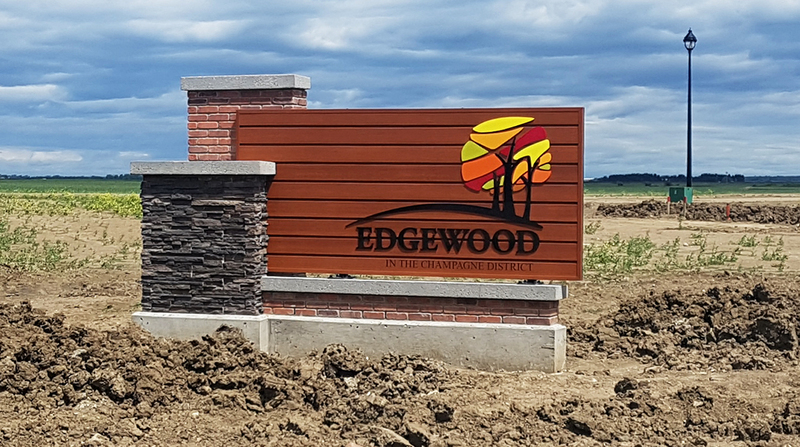 Installed for the new South-Edmonton community, these three (3) single-sided entrance signs feature flat-cut-out, painted aluminum letters, and a large aluminum logo with a painted gradient finish. 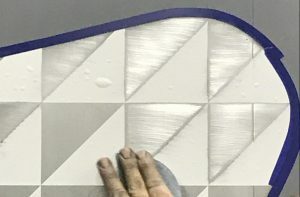 Not only does the painted finish allow us to pass along a 15+ year product guarantee against fading or UV damage, but also features a graffiti-proof clear coat for simple cleaning if the display does happen to be tagged or painted without damaging the paint or graphics. 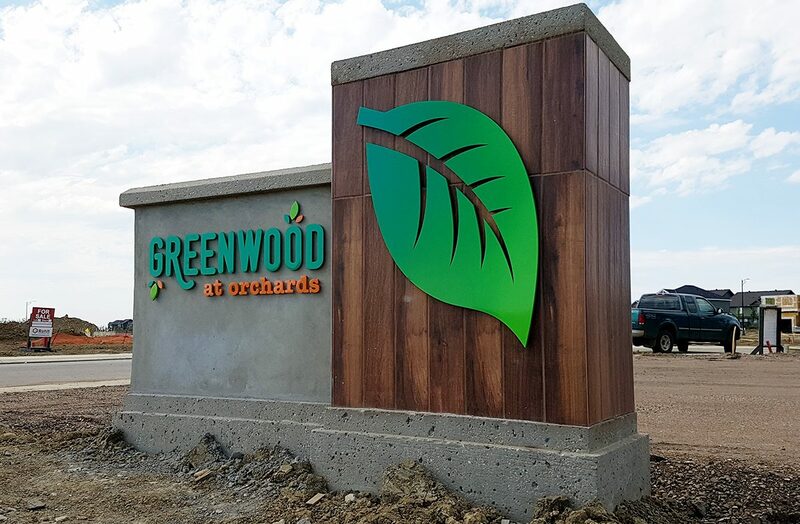 Located in Morinville, Alberta, this custom entrance sign and secondary column sign both feature flat-cut-out acrylic letters mounted to a 24-gauge faux wood panel background. Careful coordination with the masons ensured the completed sign panels would seamlessly fit between the two stone columns and yet could still be anchored to the lower concrete pad for additional support. The secondary column display is similar to the large entry feature in that it also required careful construction to fit the available opening. However, this featured welcome sign did not allow for visible fasteners and so our drafting team incorporated a hidden bracket to the design for mounting purposes. 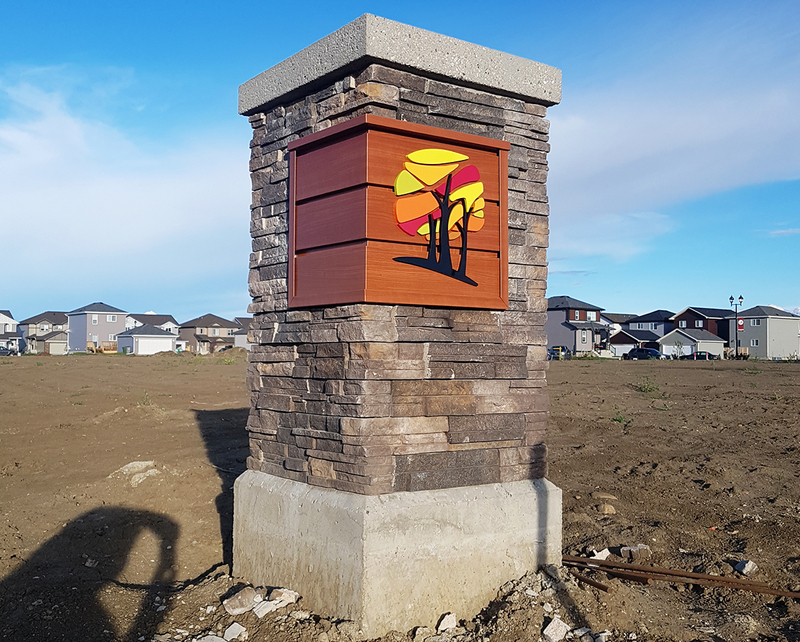 This extremely creative display completed for “Leduc’s Newest Neighbourhood” required a bit of homework to get to the finished display, but we (and our client!) could not be happier with the final result. The “wood” nest behind the display was a first for our in-house signage experts and featured a steel structure, painted in-house by our very own (and extremely talented) painter-extraordinaire Terry. 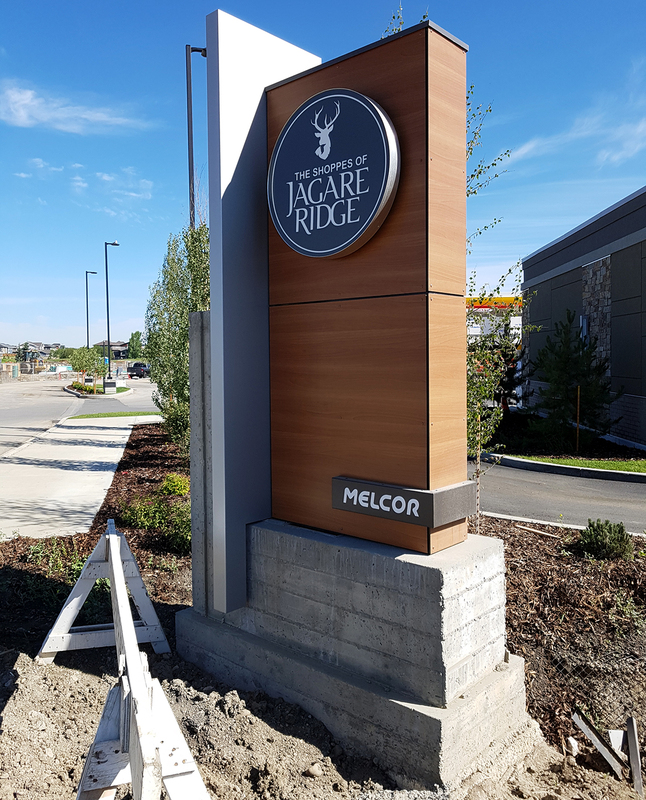 Part of a comprehensive exterior signage package for our friends at Melcor Developments, we manufactured three (3) freestanding multi-tenant pylons, one (1) “L” shaped display, and two (2) single-sided pillar entrance signs for the new Southwest Edmonton property. 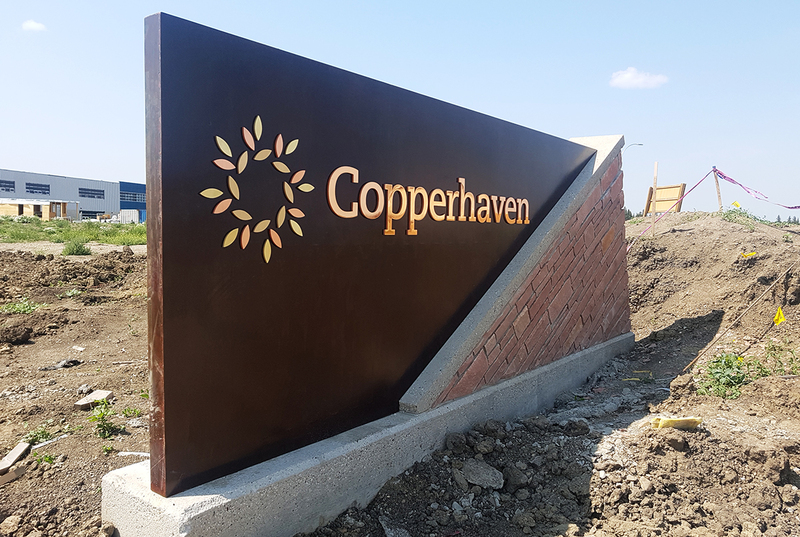 A great example of truly custom signage, this development entrance sign for Copperhaven in Spruce Grove, AB, consists of a steel background panel that our team oxidized in-house to achieve a one-of-a-kind “rust-wash” finish, to which we installed brushed bronze letters. We want to hear from you! Connect with us on Social Media or send us a note below! As much as we have enjoyed having this piece of Edmonton signage history in our shop for the last few months, we couldn’t be more excited to see our re-created Retro Sign finally installed at its new home, the Edmonton Downtown Neon Museum. Learn more about the manufacturing process for this Retro Sign. The beginning of any installation project starts at our Edmonton manufacturing facility; with crating, loading and securing the display to our flatbed trailer to be transported to the sign install site. With an in-house fleet of equipment that includes three (3) boom trucks, four (4) service vans, a V-Crane, and forklift, any combination of which are used to transport signs from place to place. Given the busy downtown location of the Edmonton Neon Museum (not to mention the many surrounding construction sites), additional coordination and planning were required by our installation department to ensure our trucks would have unimpeded access to the site without compromising the safety of our crews, or other passersby. As one of our Core Values, safety is the first consideration in the planning of any project; every site is reviewed by the project manager and a site-specific safety plan developed to address all hazards presented. Did you know that we have achieved and maintained active COR status for our industry-leading safety program? In this case, an OSCAM (On-Street Construction and Maintenance) permit allowed our team to temporarily close the South-bound lane and sidewalk of 104th Ave to safely position the second installation vehicle in an appropriate position to assist in mounting the sign and fully extend the outriggers of the boom truck. Upon arriving, completing the on-site safety orientation, closing the lane/sidewalk, and securing the work area, our installation team prepare to hoist (lift) the retro sign into place. Before any sign display is built, our production team review the mounting application (flush, suspended, or flag-mounted for example,) of the display and design a welded “lift-point” at which we secure the hoisting cable. For this retro sign install, once the hoisting cable was anchored, a secondary tag-line was secured to the display to “guide” the sign into place without any swinging or excessive movements due to the wind. The installation of a sign like this typically consists of a four-man crew, each with their own responsibilities; one person responsible for manning the boom & hoist, one on a secondary lift in the air (in this case our man-lift) to mount the display in place, and one or two additional people responsible for manning the tag-line(s) and providing ground-level assistance. Once the display is positioned in its correct place, the installer in the man-lift secured and anchored the retro sign to the pre-existing steel structure of the Neon Museum. Blanchett Neon installation crews have extensive experience, training, and certifications to safely complete sign installs. Big thanks are in order for everyone involved in making this project a reality, and we couldn’t be happier with the final result! The Edmonton Neon Museum is open 24/7/365 and we hope all museum visitors enjoy this neon sign addition (and a small piece of our own company history,) for years to come. We want to hear from you! If you have visited the Neon Museum, have photos of our retro sign or are looking for more information on this or other signage projects, connect with us on Social Media and stay tuned for news on an official Ceremony celebrating this newest addition to the historic Museum! Every year, the Sign Association of Canada recognizes individuals that have made significant contributions to the sign industry, and we are very proud to announce that our president, Daryl Blanchett has been named 2017’s Sign Professional of the Year! In the industry since 1989, Daryl is the third-generation owner-operator of Blanchett Neon, and has served as a prominent voice in the Alberta Sign Industry for many years, including serving multiple terms on the Alberta Sign Association‘s board of directors, and donating extensive time and materials to further the efforts of the Edmonton Downtown Neon Sign Museum. Join us in congratulating Daryl for this significant accomplishment! As we began the planning process to celebrate our 70th anniversary, we knew that there was only way to truly appreciate and honour our heritage, and that is through signage! We are so excited to announce we will be re-creating the classic neon sign display from our second location (10224-109th Street), and donating it to the Edmonton Downtown Neon Museum. The completed retro sign was officially unveiled with an formal lighting ceremony at our September 28th, 2017 Open House. Stay tuned to our Social Media feeds and this blog for the very latest updates on the installation ceremony to be held late-2017 at the 104th Street & 104th Avenue museum. 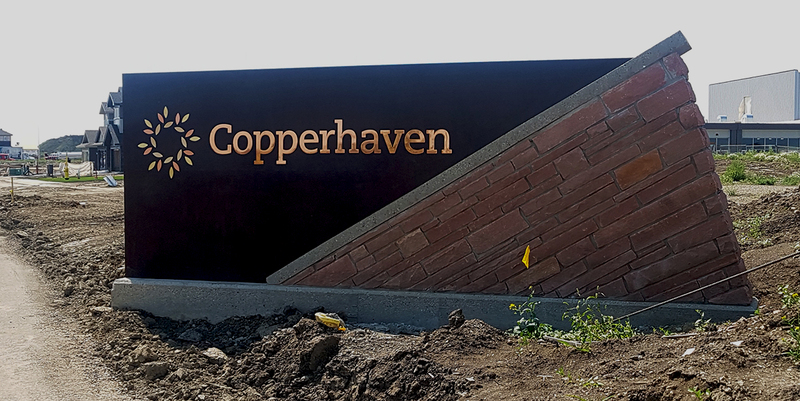 Making this idea into reality could not have been possible without a number of great individuals that have our most sincere thanks; Tim Pedrick of the Alberta Sign Association, David Johnston from the City of Edmonton, and most importantly, our fantastic staff involved in the design, build and installation processes! What was the overall size was the display? Was the “Neon” of “Blanchett Neon” illuminated by Ruby Red, Con Red or Tangerine neon? Was the background a painted feature or a metal finish? 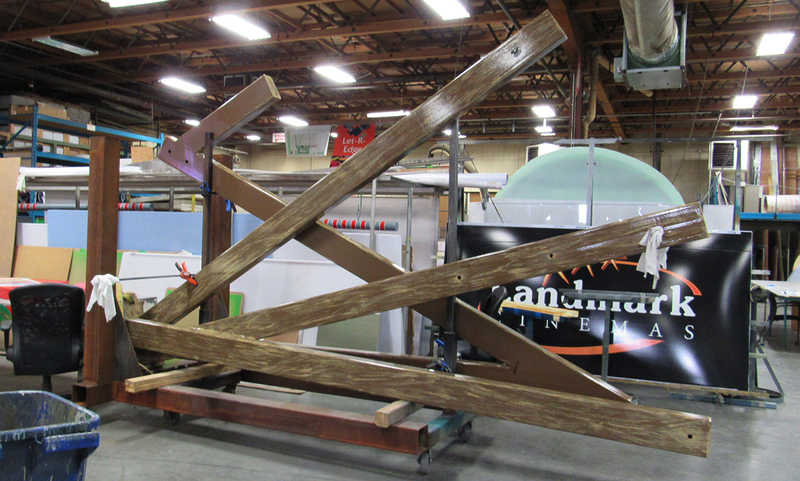 How will the new display be mounted to the steel structure of the Edmonton Neon Museum? Technology has changed significantly since the 1950’s when our original sign was produced, and the large wall in our manufacturing facility that was once used for creating layouts by hand is now empty, having been replaced by a large format printer that provides the installation pattern for all custom signage displays. Projects like this feature a balancing act; we could honour our heritage and utilize historically accurate techniques and processes, or choose more time & cost efficient methods that are common today. With a slim window in production to ensure the display is completed in time for the official unveiling at our Open House, we compromised; the full sized template was printed via our in-house large format printer, and all loading and detailing for the neon illumination was laid out by hand. Our metal department is by far the largest sector of our manufacturing facility. Featuring four sheet-metal journeyman, this is the stage in the production process where all metal components are cut, bent and welded to form frames and structural elements. The framework of the retro sign is completed, and the paper pattern is in the process of being transferred onto the sign structure. Once transcribed, the mounting holes for all neon and electrical components and access hatches are drilled. With the frame complete and all access and mounting holes drilled, the next step in the process is for the entire structure to enter our paint booth. In the world of custom signage where very few displays or building conditions are similar, Research & Development initiatives are a big part of our manufacturing day-to-day operations. For this retro display in particular, the main purpose of our testing was to determine the best method to achieve the background “checkerboard” pattern that would both honour the look of the original display and align with signage manufacturing techniques from the era. The result was an sanded “grain” worked into the raw metal finish that was alternated horizontally and vertically and then painted over with a semi gloss clear coat of our automotive grade paint to really emphasize the final result. Before the days of the application of vinyl graphics, all signage details were painted carefully by hand, and in the interest of remaining as true to those traditions as possible, the graphics for this replica sign were completed using the same techniques. We are truly fortunate to have some of the most talented production staff in the industry that are capable of achieving these hand-crafted graphics for projects such as this! As our name may suggest, producing neon displays was our primary focus right up until the introduction of alternative illumination sources. 2017 marks a major milestone for our home-grown family business, and we would like to formally invite you to join us September 28, 2017 between 3:00 – 8:00pm for an open house at our Edmonton office (12850 St Albert Trail) remembering the last 70 years and recognizing YOU; the customers, suppliers and talented staff that have made it possible. With door prizes, live jazz trio, classic cars from the era (Weather permitting) and more, we hope to have you join us! Please RSVP to BNL70@blanchettneon.com and be sure to follow our company pages and hashtag #BNL70 on Social Media for the latest updates on this exciting event. Tours of our facility will be running every thirty (30) minutes for the full duration of the event. 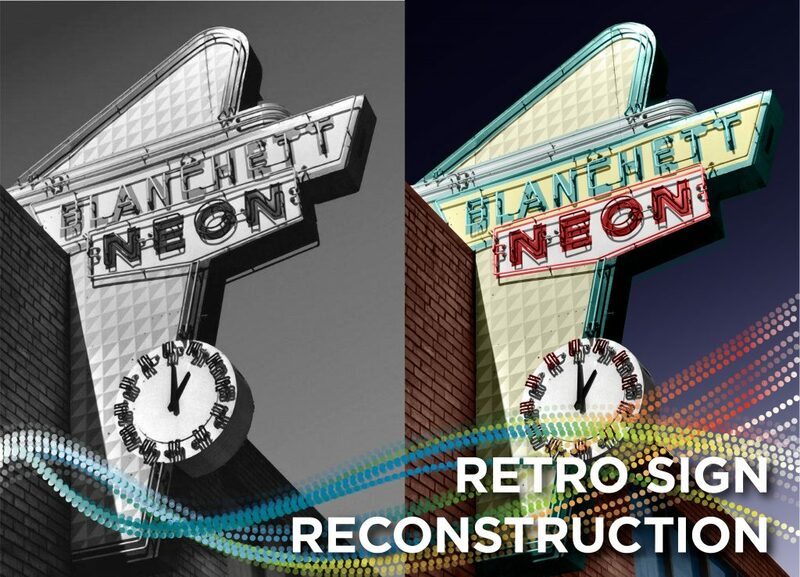 Join us at 4:45 for the official lighting ceremony of the re-created, original Blanchett Neon sign! We are very proud to announce that in celebration of 70 years in the sign industry, we will be re-creating our original neon sign and donating it to the Edmonton Neon Museum! Join us to view the completed display … read more. Photos via Blanchett Neon Archives. 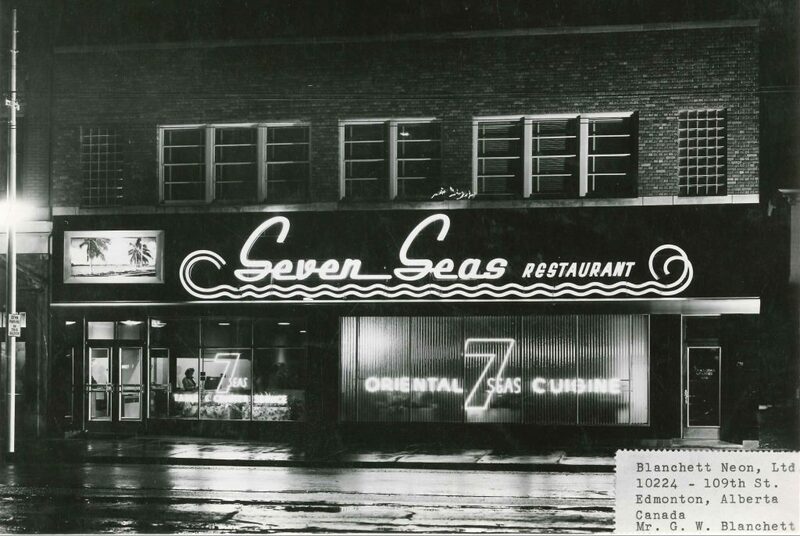 Opened in 1948, Seven Seas Restaurant located on Jasper Ave between 105 & 106 Streets was the first licensed establishment in Edmonton, and one of the largest restaurants in Western Canada at the time. Date of install estimated as late-40’s. Photo from Blanchett Neon Archives. Colour photo via the Royal Alberta Museum Archives. Demolished in 2010, the former Mayfair Hotel on the corner of 108th Street & Jasper Avenue in downtown Edmonton featured both exposed neon and internally-illuminated letters. Photo date estimated at late 1950’s. Photos from Blanchett Neon Archives. Founded by George Prudham in the 1930s, Prudham Construction in South Edmonton was renamed Prudham Building Supplies in the 1940’s. (Photo estimated as early 1950’s). Photo via City of Edmonton Archives. 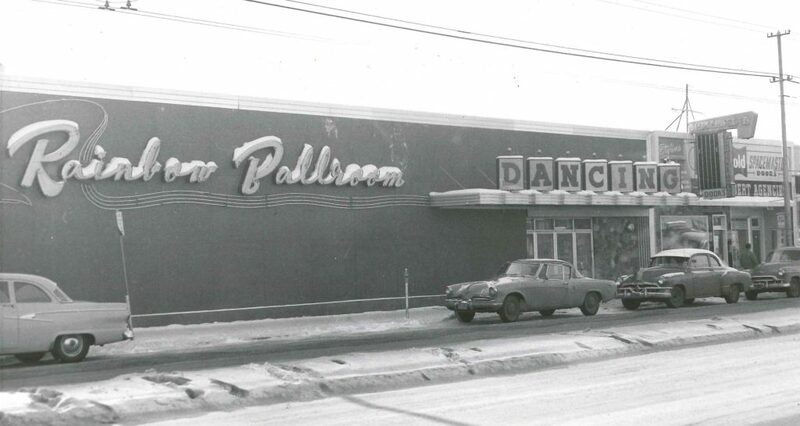 The iconic Rainbow Ballroom located on Whyte Ave and 108th Street was THE place to be Friday nights in the 1950’s & 60’s to catch the best local talent and dance the night away. The venue was rebranded as a bingo in the 1980’s and eventually demolished. 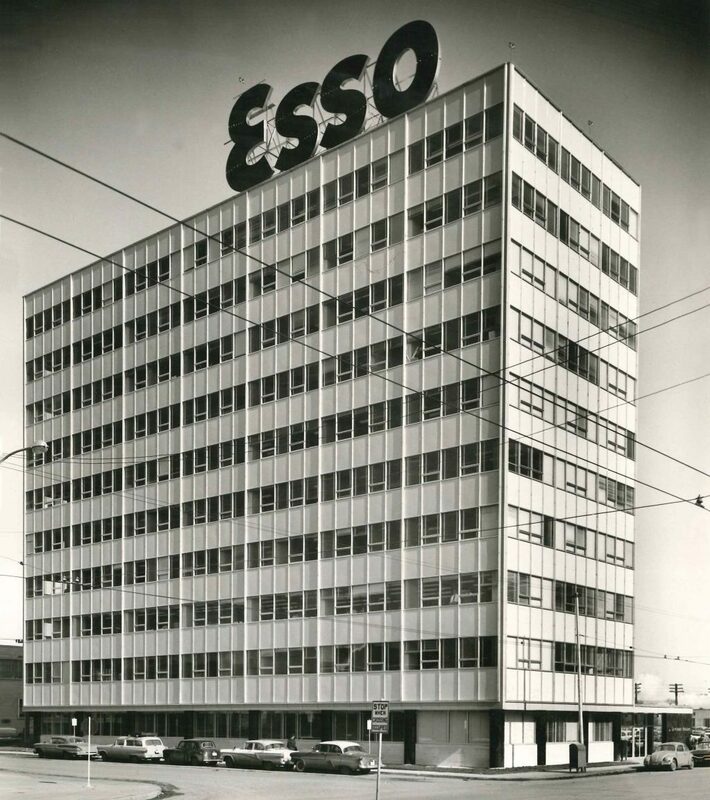 Currently known as Waterloo Ford, this classic Edmonton sign was installed in the early 1950’s. 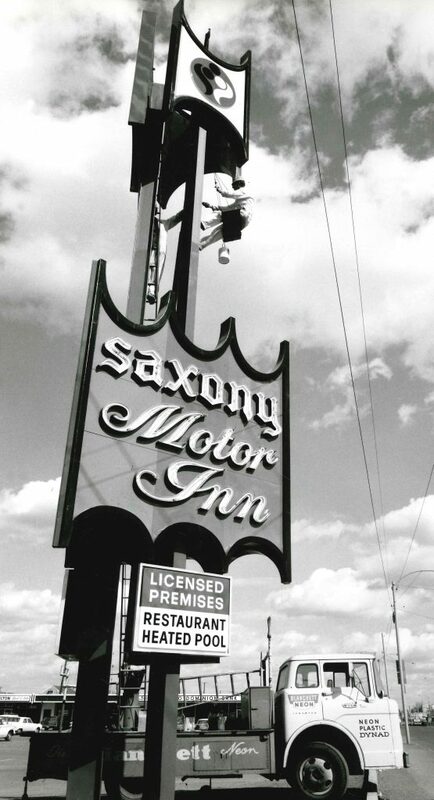 Currently rebranded as a Howard Johnson on the corner of 156th Street and Stony Plain Road, the former Saxony Motor Inn sign was installed in 1966. Installed along the main corridor in St. Albert, this classic neon sign stood high above a classic cars meet up that took place most Friday and Saturday nights until the business closed in 2003. Initially installed in the mid-1980’s, this display has been upgraded several times in the years following. In the late 1990’s when a private ownership group opened three new casino locations in Edmonton and Calgary, it was our honour to supply these unique neon signs to their prominent Yellowhead Trail location. Originally manufactured by Blanchett in the early 1970’s, the owners kept the projecting sign following closure of their business in the 1990’s. The classic neon sign was refurbished and re-installed at the Edmonton Neon Museum in 2012. Original Sign Photo Via the City of Edmonton. This specific sign was originally located in Calgary, but is similar in style to many displays located here in Edmonton. Blanchett Neon originally manufactured (date unknown) and in 2012 restored this display. For this first look back at our 70 years in business, we will be featuring one of the most important aspects of our process; the installation of custom signage displays and the various vehicles, tools and teams that have helped establish our reputation as a leader in the Western Canadian Sign Industry. 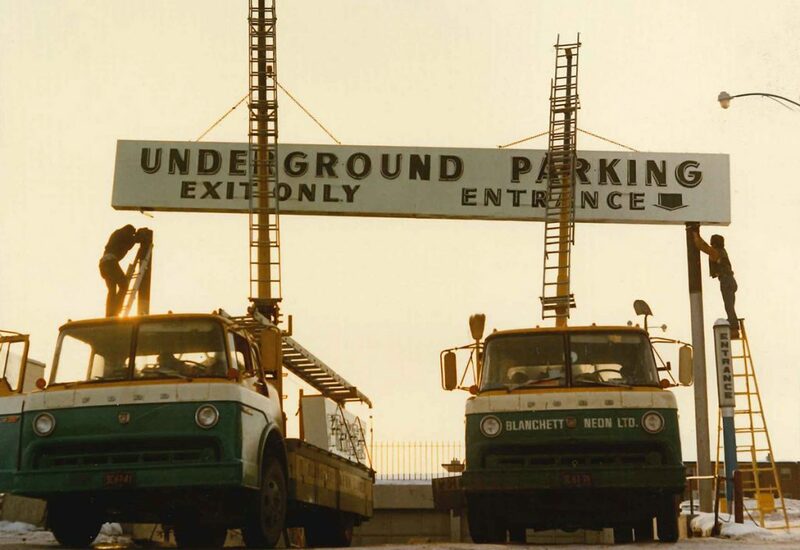 For the first years of our existence as a division of Blanchett Decorators, all signage installations took a back seat to the decorating work, and the mounting of custom neon signs during this period took place mainly during evenings and weekends when the main business was closed, and vehicles available. Our First Location at 11448 Jasper Ave. 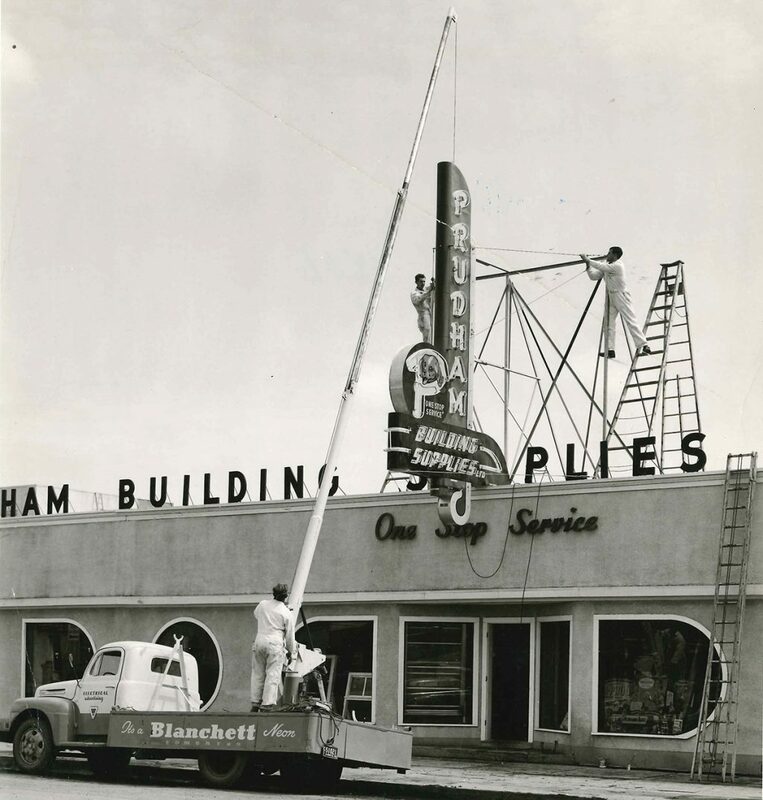 Following incorporation as individual entities in 1947, business grew quickly and the purchase of a boom truck greatly expanded our sign installation capabilities, and in turn the manufacturing side as well. We’ve come a long ways from balancing half on a scaffold and half on a ladder while installing signage; our current safety program has not only achieved COR status, but is recognized as among the best in the industry. For more on our commitment to safe work practices. 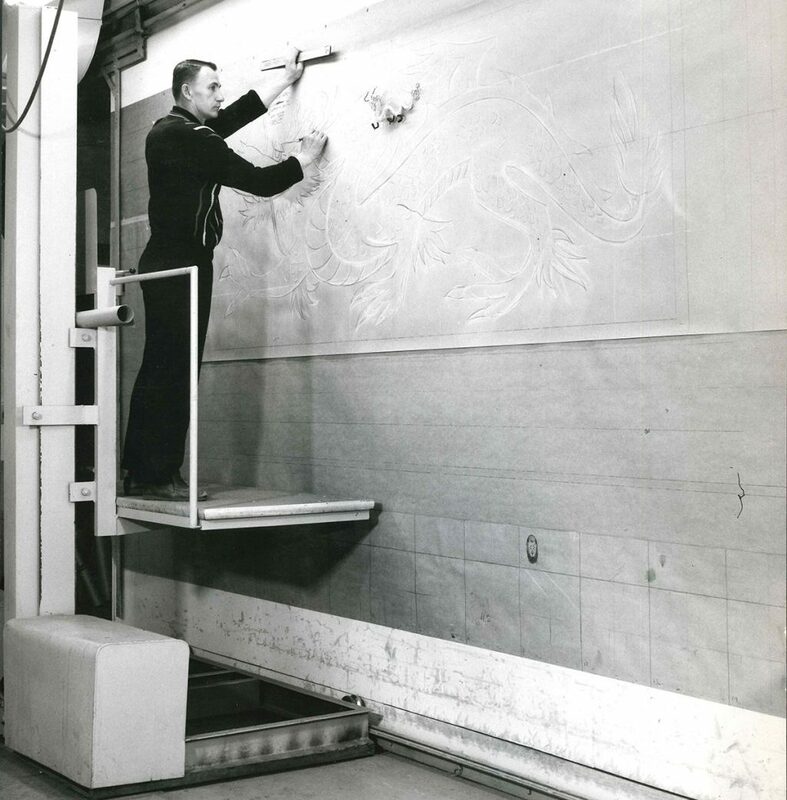 Following our early success and growth the former facility became quickly insufficient in size and capabilities, and both Blanchett Decorators and Blanchett Neon moved in 1952 to a larger facility downtown at 10224-109th Street. The next few years saw continued business growth, as well as the emergence of a formal “Service” department. This new division required vehicles smaller than traditional installation trucks to fit in a wider variety of sites across Northern Alberta, and multiple service vans joined our growing fleet. More on Service & Maintenance. As we went smaller with our install vans, by the mid-to-late 50’s we also went larger with our boom trucks. The very latest technology at the time featured hand-cranks to raise and lower signage, and this sign installation vehicle was actually still in use for another company in the mid-90’s! 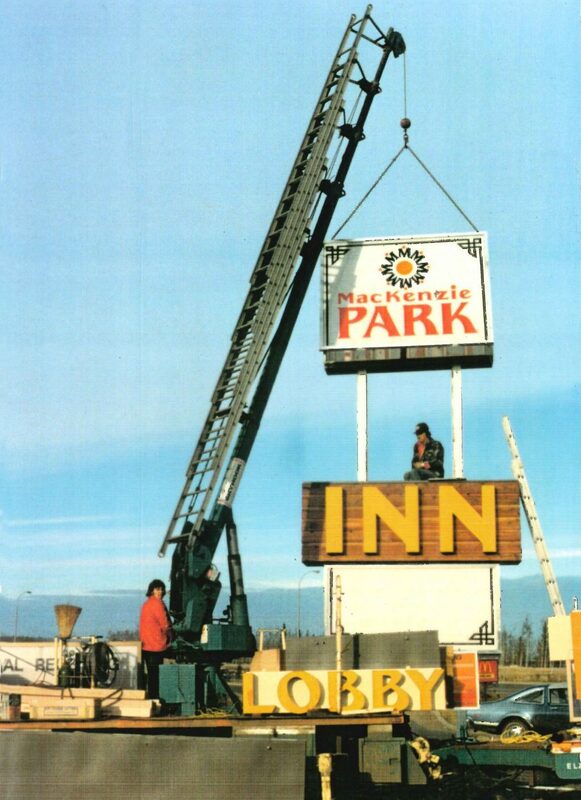 As we entered the 1960’s and 70’s, neon remained the illumination method of choice, and talented crews with signage installation vehicles traveled across Western Canada as our market continued to grow. The below signage display for Avis Rent a Car was installed in Yellowknife, NWT in the late 1950’s. Multiple vehicles meant larger-scale installations, and some of the largest displays in Edmonton and area at that time were installed by Blanchett! Once again we had outgrown the capacity of our facilities, and a final move was made to our current plant at 12850 St Albert Trail in 1969. Freestanding Pylon Signs have always been one of our specialties, and the new, larger manufacturing plant helped expand our production output, with a shift to a greater number of larger displays completed on a more regular basis. Today, our crews still travel across Western Canada installing signage displays for a wide variety of clients. In mid-2017 our newest service van will be joining a current fleet of 3 boom trucks and 3 service vans to continue our proud tradition of safe, efficient signage installations. Since 1947, our art department has featured some of the best graphic designers in the industry, and nothing is better than seeing their talent recognized and appreciated by others in the sign industry! Most recently, this recognition includes the 2017 Alberta Sign Association Sign Design competition, and we are proud to announce that two displays we completed in 2016/17 were deemed most impressive in their respective categories, and one other received an honourable mention. Big congratulations to our design team! Kipling Realty was looking for a partner company to design, build and install two (2) signage displays that offered the greatest exposure within a specific budget for their high-profile downtown Edmonton location, and we were proud to have been chosen for our design of two reverse channel displays. For the purpose of this design competition, we submitted the lower display; a 24″ tall set of Reverse Channel Letters mounted to a beam above the front entrance with an over-sized backer behind each letter to achieve the “halo” effect. As a testament to our designer, Jeff Billey’s skill, take a look at the below design concept provided to the client, and note how similar it looks to the final award winning sign. Our goal is to provide renderings of every proposed display as accurately as possible to help clients realize our vision for their signage, and in this case, the drawing couldn’t have been much closer to the final result! As happy as we are to be recognized for this non-illuminated sign design, it is the project as a whole we are most proud of. Starting with developing a new logo for the client, this complete signage program also included an exterior directory, individual channel letters and a freestanding pylon sign complete with an electronic message centre. More on our comprehensive signage services. Refurbished in-house and installed at the Edmonton Downtown Neon Museum, this sign restoration project was a true labour of love. From re-painting the damaged cabinet to repairing and replacing the neon tubing, our team brought the classic display back to perfect condition to be enjoyed once again by visitors to the Neon Museum. Read more about the restoration process of the Bee Bell Bakery retro sign. As the first completed tower in the new downtown Ice District, two (2) sets of RGB illuminated channel letters were manufactured and installed by our talented team for the Edmonton Tower. This was one of the most complex and largest projects that we completed over the past year. Read more on Edmonton Skyline Signage. With custom cladding complimenting the renovated building facade, these two (2) illuminated pylon signs offer attention-grabbing exposure to the tenants of the centre. Learn more about Pylon Signs. 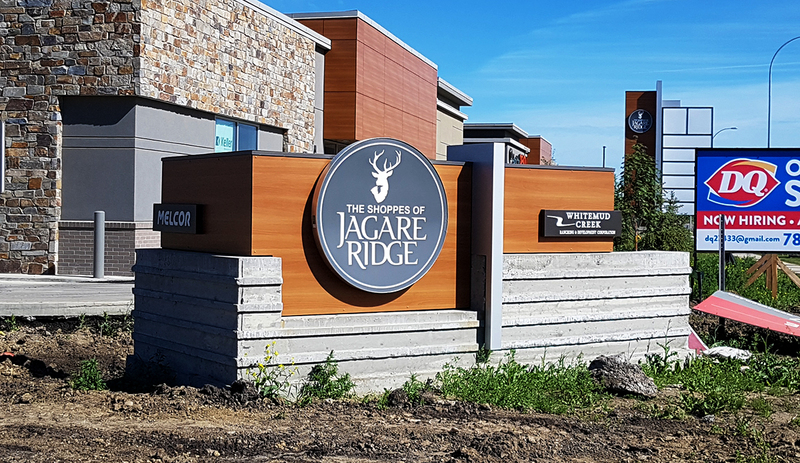 As the fifth freestanding pylon sign we’ve completed for Harvest Pointe in South-East Edmonton, this double-sided pylon features decorative side and roof cladding along with individual channel letters with perforated film that results in the letters appearing black during the day and illuminate bright white at night. Stay tuned for more details to come on this exciting new project! Looking for a change in pace? We are looking for an electrical wiring technician to join our award-winning production team starting immediately. 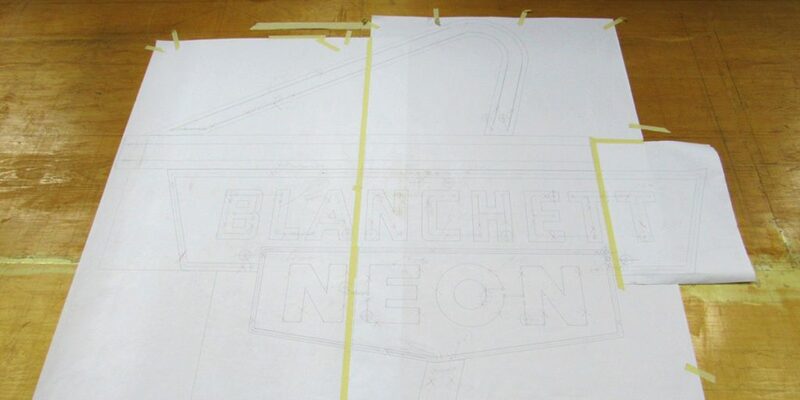 At Blanchett Neon, we are committed to providing custom signage displays of the highest quality to our clients, and our production team is essential to every successful project. A family owned and operated business, we are looking for an electrical wiring / assembly professional to join our industry-leading team in a full-time position beginning immediately. Our wiring / assembly department is one of the final steps in the signage manufacturing process, and applicants will be responsible for working in a team environment to complete the wiring and final assembly of electrical components into our signage displays. Wiring signage displays with LED or fluorescent illumination. Can work in a physical environment including bending, standing, sitting, all of which vary in duration. Capable of working in a safety-first environment, and working to uphold Blanchett Neon’s COR safety status. Experience in electrical wiring (preferably in a sign shop) required. Valid Driver’s License and vehicle.